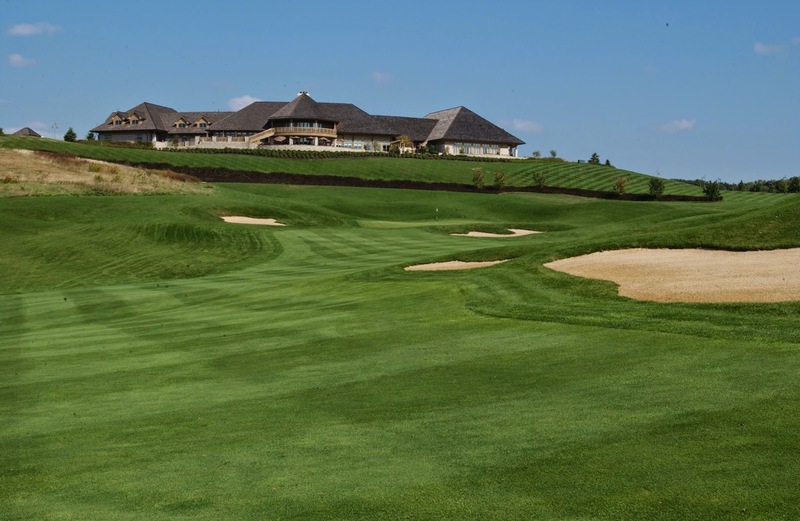 What To Do After Experiencing the Best Golf in Ohio? The Longaberger Golf Club is know all around the States to have the best golf in Ohio. The course is huge, beautifully maintained and famously scenic. However, after a long day golfing, there are many other places to visit for a full experience of Nashport, Ohio. Nature preserves, walking trails, horse riding and the worlds largest basket are all waiting to be enjoyed by tired sportsmen. This gorgeous nature preserve is situated a fourteen minutes drive from the Golf course entrance. The main feature is a four mile gorge cut through the famous Black Hand sandstone formation by the Licking River. The calm waters are perfect for a canoeing excursion. Don't worry if you didn't bring your own canoes, there are well priced canoes for rent close to the parking lot. If you prefer land to water, and enjoy the lush scenery at Longaberger Golf Club, there is a biking trail that rides through the forests. The plant life is rich and the path is sheltered by families of Oaks, Hickories, Virginia Pines and Mountain Laurels. On the northern exposures grow Yellow Birch, Cherry Birch and Eastern Hemlock colonies. In the spring it becomes an excellent site for those who love wildflowers. Just eighteen minutes from the golf course lies an equestrian center. If golf carts and other form of non pedestrian travel are your style, try a lesson in horse riding. The Licking County Equestrian Center is a small farm surrounded on all sides by flat grasslands, and beyond them lush forested hills. Are you already an avid horseman? Then bring your own horses and stable them for a negligible fee. The Nashport roads and countryside are famously horse friendly. If you are looking for a place to bed down and relax, Dillon State Park is the place to stop. A sixteen-minute drive from the Longaberger Golf Club, it offers clean facilities, a camp store and a place to do your laundry. Free Internet is available around the camp store for those who need it. Activities are offered. Great fishing, free movie nights, stargazing sights with telescopes and a giant hill which gathers snow in the winter. Down this hill on homemade sleds fly the local children. Before the winter, however, are the fall leaves which rest throughout the wooded area and even onto the beach to serene effect. A bare seven minutes from the course, the T.J. Evans Panhandle trail begins. Starting in the woods and winding its way through Amish country, the untouched path offers the most serene route back into town. The trail begins to track the Ohio Central Railroad and finds its way back into town where you will catch a glimpse of the world’s largest basket. It serves as the seven story headquarters for the Longaberger Basket Company and is made from the same wood as the basket sold from it, only one-hundred and sixty times larger. Walk in to learn the history of David Longaberger, the man who kick-started the area's industry and gave his name to so many attractions, up to and including the home of the best golf in Ohio. Planning to book a tee time at Longaberger Golf Club? See what else you can do while you’re visiting Ohio.